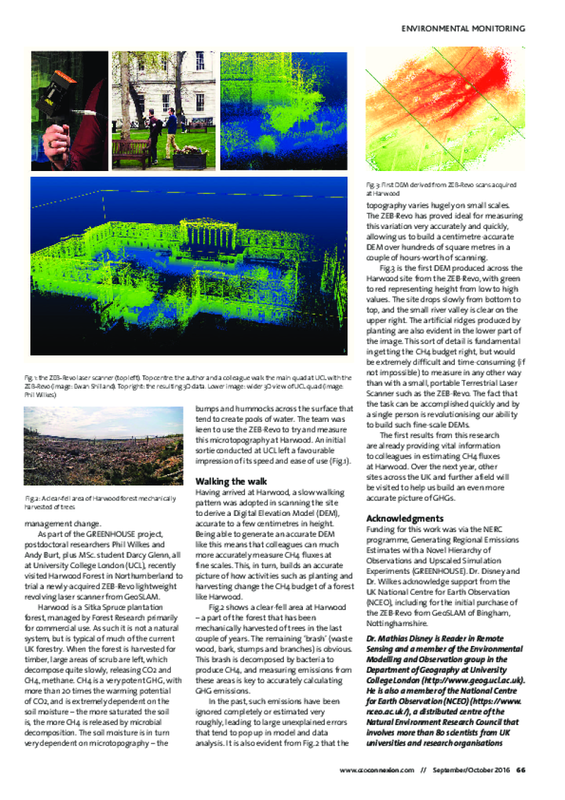 Here is a short article in GeoConnexions based on the possibilities for using low-cost lidar for doing fine-scale DEM building. I should add that Phil and Andy did the scanning, so this is very much me taking credit for their work - sorry! The original PDF is here. 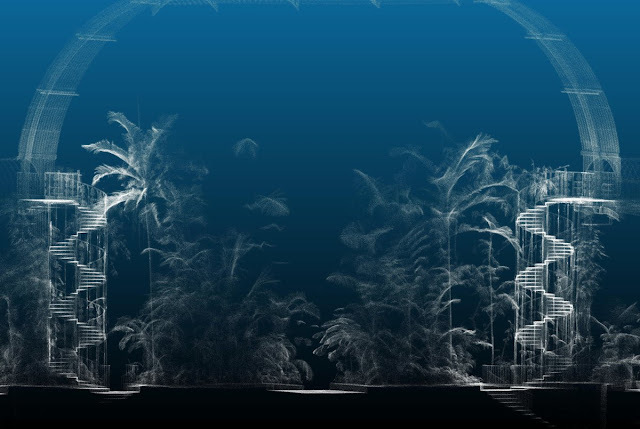 A number of people have commented on the ghostly nature of the images that Justin pulled out of our Kew Palm House scans, particularly with the combination of the spiral staircase, the vaulted roof and the exotic trees. The combination of man-made and natural architecture seem to complement each another in an aesthetically appealing way. The fact that we were able to scan from the walkway at roof level is what gives the great detail of the Palm House roof, and the detail of the upper part of the trees in the centre. If only we could do that everywhere. 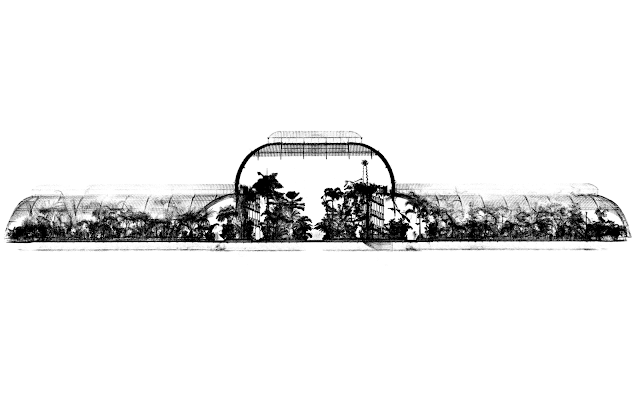 The full-length cross-section through the Palm House at Kew. Meanwhile, on his way back to Vienna, Florian stopped off in Paris and managed to grab an opportunistic scan of the oldest tree in Paris. It is a Robinier pseudoacacia (false Acacia), or locust tree, planted in 1601 in the Square René Viviani, next to the Saint-Julien-le-Pauvre Church, also one of the oldest in Paris. The Robinier False Acacia, Square René Viviani (from Wikimedia). Overview of the scan of the square, church to the left and tree in the centre. The Robinier False Acacia, planted 1601. Back at Kew, this time to try and scan some of the 'civilian' Planes and limes outside the Herbarium, and around the grounds. The weather didn't play ball on the whole, so we spent some time in the wonder that is the Palm House. Mainly this was so Florian could learn how to use the ZEB, but the resulting scans have proved rather elegant and striking. So here they are, variously produced by Florian, Phil and myself. The outside on a rainy day - much warmer inside. Goose giving me the evil eye. ZEB-REVO data collected by Florian over about 20 mins inside the Palm House (F. Hofhansl and P. Wilkes). 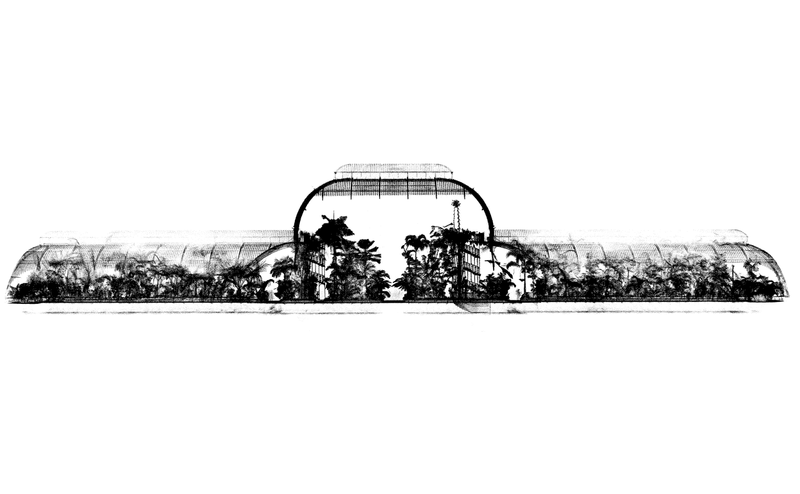 Section through the centre of the building scan (rendered by Justin Moat, Kew Gardens). Another rather nice slice (rendered by Justin Moat, Kew Gardens). 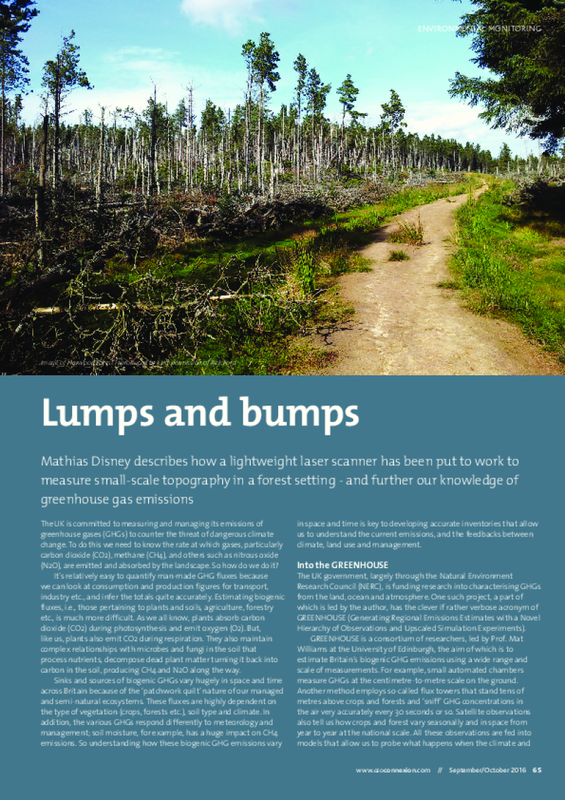 Section through the centre of the scans, coloured by height (M Disney).